In a recently published Prem Watsa’s Fairfax Financial Holdings‘ 2018 Annual Letter, the company shared some of its views on several stocks in its 13F portfolio, including Seaspan Corporation (NYSE:SSW). You can find a copy of the letter – here. Among other things Prem Watsa said that they believe the company has a perfect management team that is going to bring great success to this company, which is why Fairfax Financial Holdings has invested in it $500 million in shares and another $500 million in bonds, plus seven-year warrants for 25 million shares ($8.05 per share). Under the leadership of David Sokol as Non-Executive Chairman and Bing Chen as CEO, we expect Seaspan to be a phenomenal success over the long term. 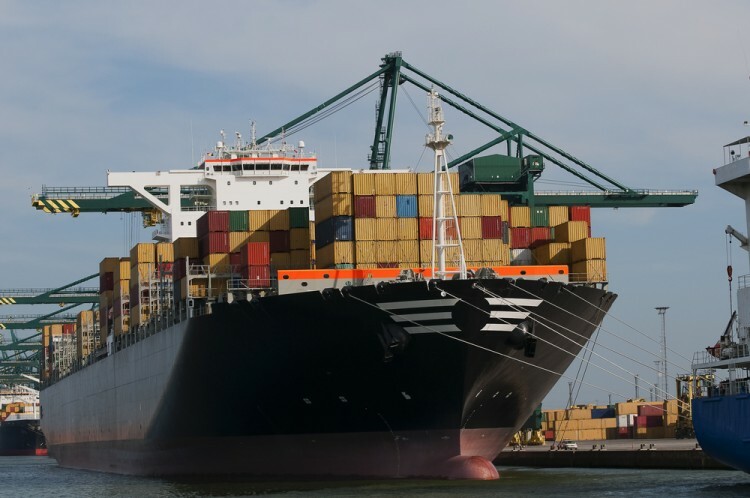 Seaspan provides many of the world’s major shipping lines with creative outsourcing alternatives to vessel ownership by offering long term leases on large, modern containerships combined with industry leading ship management services. Seaspan’s fleet consists of112 containerships representing a total capacity of more than 900,000 Twenty-Foot Equivalent Units (TEU), with an average age of approximately six years and average remaining lease period of approximately four years, on a TEUweighted basis.The shares are currently selling at 6.3x earnings, with a dividend yield of 5.7%. David Sokol has a long history at Mid-American where he compounded earnings at more than 20% over a 20-year period. We have invested $1 billion in Seaspan – $500 million in shares at $61⁄2 per share and $500 million in 5.5% bonds. We also have seven-year warrants for 25 million shares at $8.05 per share. Seaspon is one of the best companies in independent containership management industry in the world. It has a market cap of $1.92 billion, and it is trading at a P/E ratio of 6.81. Year-to-date, its stock price gained 6.75%, having a closing price on March 29th, of $8.70. Heading into the first quarter of 2019, a total of 12 of the hedge funds tracked by Insider Monkey were long this stock, a change of 50% from one quarter earlier. 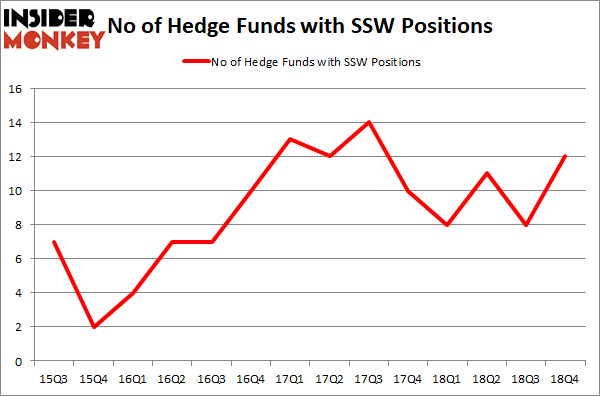 On the other hand, there were a total of 8 hedge funds with a bullish position in SSW a year ago. So, let’s review which hedge funds were among the top holders of the stock and which hedge funds were making big moves. Among these funds, Fairfax Financial Holdings actually held the most valuable stake in Seaspan Corporation (NYSE:SSW), which was worth $302.6 million at the end of the third quarter. On the second spot was Brahman Capital which amassed $20.6 million worth of shares. Moreover, Arrowstreet Capital, Renaissance Technologies, and Two Sigma Advisors were also bullish on Seaspan Corporation (NYSE:SSW), allocating a large percentage of their portfolios to this stock.